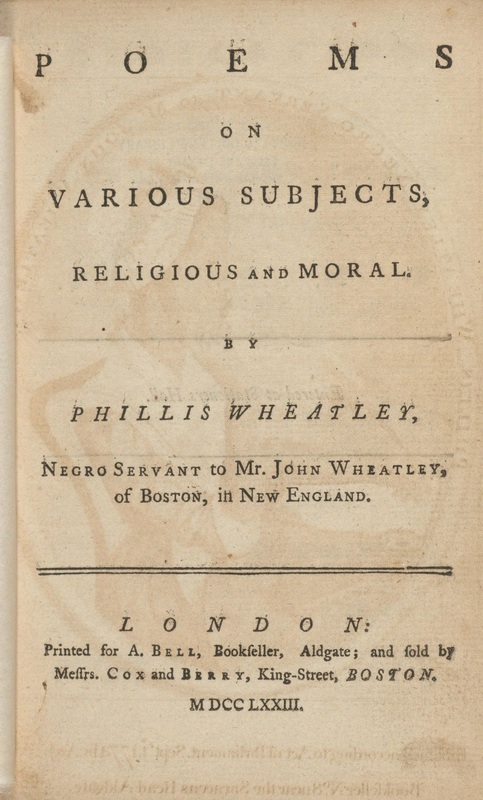 Houghton 75 > Artworks > HIST 75H: A Masterclass on Houghton Library > Henry Louis Gates, Jr.
Of the 96 slaves shipped from Africa’s Windward Coast to Boston in 1761, 75 survived the Middle Passage. 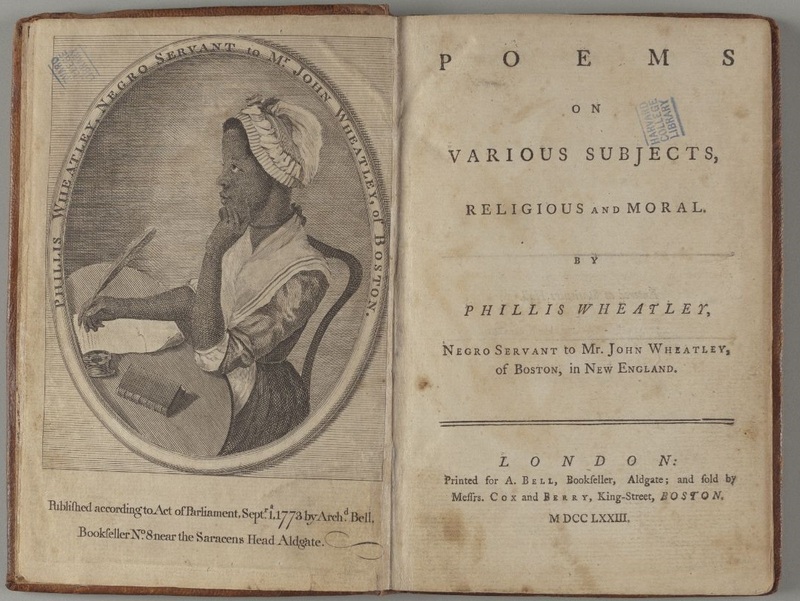 One, a girl named Phillis for the brigantine that had taken her from her homeland, would author the first book written by a sub-Saharan African in English, 1773’s Poems on Various Subjects, Religious and Moral. 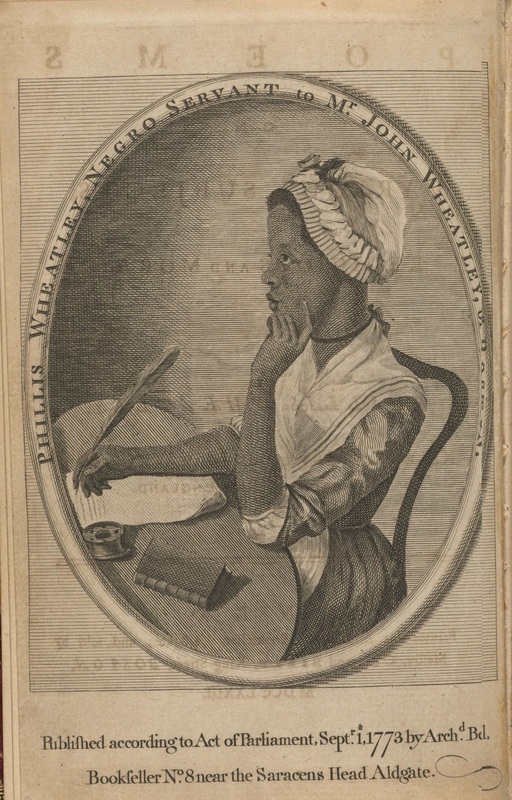 To satisfy those in Boston who doubted a member of her race had the capacity necessary to craft poems, she was subjected to an “examination” by 18 men of learning, 14 of them at Harvard, who signed a letter attesting to her abilities, despite her having been “brought an uncultivated Barbarian from Africa” and “the Disadvantage of serving as a Slave in a Family in this Town.” Feted a prodigy in London, and freed upon her return, Phillis Wheatley died in poverty in Boston in 1784. 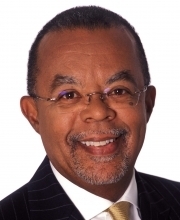 Your ticket for the: Henry Louis Gates, Jr.